I absolutely love that this can be made without a mixing bowl! 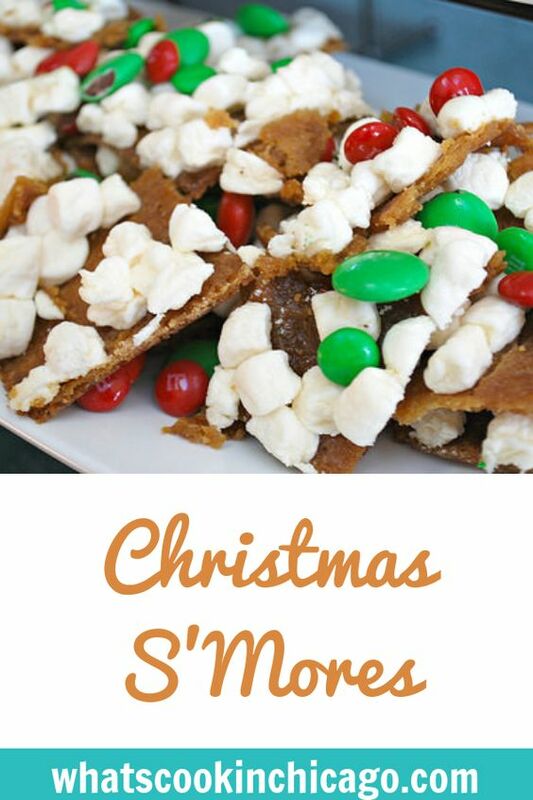 The kids can definitely help with this recipe and I know my son gets a kick out of sprinkling the marshmallows and chocolate candies on top. 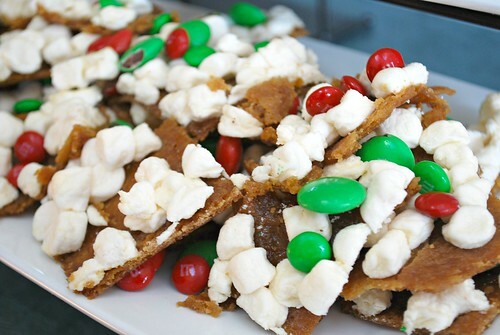 You can add your own spin on this as well by using chocolate graham crackers, adding chopped nuts, drizzling some caramel, or even adding some chopped pretzel pieces! Have fun with this one - these make wonderful edible gifts and package up nicely too! Heat oven to 350 degrees. Line a 15x10x1 inch baking pan with parchment paper, extending the paper over the edges. Spray with non-stick cooking spray. Place graham crackers onto the lined baking pan to cover the bottom in one single layer. In a 2 quart saucepan over medium heat, melt butter and brown sugar, stirring constantly for 4-6 minutes or until smooth and mixture just comes to a boil. Pour mixture evenly over the crackers and spread to cover. Bake in preheated oven for 5-7 minutes or until bubbly. Remove pan from oven and sprinkle with marshmallows. Return pan to oven and continue baking for 2-3 minutes or until marshmallows begin to soften. Remove pan from oven and sprinkle with chocolate candies. Cool complete for 2 hours or even overnight. Lift Christmas S'Mores from pan and break into random pieces or cut into bars.